Session Title: Emerging Trends and Approaches in Single Cell Analysis (SCA). Session Chairs: Steve Soper, Ph.D. and Kun Zhang, Ph.D. Individual cells in a population are often somewhat different from one to another. Measurements made on bulk cell populations do not capture the inherent heterogeneity of the cell population, and important insights can be missed. In this talk I will discuss some technical challenges in analyzing individual cells in adult human brain, and present a number of recent progresses we made in acquiring genome and transcriptome information from single cortical neurons from post-mortem brain specimens. The promise of next generation therapies, drugs and diagnostics rely on the ability to selectively target pathways and cell subsets – increased selectivity can mean the difference between a broad therapy with significant side effects and a focused therapy that selectively targets diseased cells. Single cell technologies such as flow and mass cytometry are positioned to fulfill this promise but have been hampered by the analytics. Platforms such as Cytobank are overcoming this challenge and helping users understand biological systems controlling development and cell-cell interactions and thus enabling precise targeting of abnormal signaling to specifically kill diseased cells. 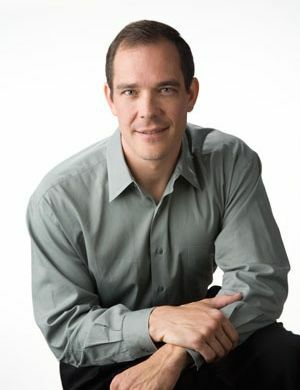 While metastatic disease causes ~90% of all cancer related deaths, determining the role of various cancer cells, either from the primary tumor or those in circulation (circulating tumor cells, CTCs), in the metastatic process has been difficult due to the continuum of phenotypes they possess and/or the rare nature of these cells, especially CTCs. To assist in studies based on the use of rare CTCs that may be involved in metastasis, an integrated microfluidic system was designed, fabricated and evaluated, which could select multiple types of cells, including cells that have an epithelial phenotype and those that possess the ability to digest the extracellular matrix (ECM). Our team at UCLA has demonstrated a highly efficient, inexpensive CTC assay (known as NanoVelcro Chips) capable of detecting and isolating circulating tumor cells (CTCs) in blood samples collected from metastatic cancer patients. In addition to conducting CTC enumeration, we have been exploring the use of NanoVelcro Chips to isolate single CTCs without contamination by white blood cells (WBCs). The individually isolated CTCs can then be subjected to molecular analysis by RT-PCR and next-generation sequencing, providing insights into tumor biology and heterogeneity and identify driver mutations that responsible to malignant transformation of cancer. Moreover, the molecular profiling of CTCs may identify novel biomarkers that could guide the choice of therapies for individual patients as well as facilitate the development of new drugs. Individual living cells within a population may differ significantly and these differences can drive the health and function of the entire cell population. Live cell analysis of individual cells is a challenging endeavor due to the complexity of cell systems and cell motility. In the current study, we present novel methodologies and means for analyzing dynamic states of individual cells/group of cells, which enable monitoring alterations in cell behavior and function over time, in a complex tissue environment, and assessing functional changes at single cell level. This provides information on the physiology and the pathology status of a given cell, to be used in diagnosis and treatment of a spectrum of human diseases. The essential features of the above platforms are based on the concept of various types of arrays made of high-quality transparent micro-chambers, where each micro-chamber functions as a picoliter-well designed to hold a single cell or cell-aggregate without tethering. The technology is extremely flexible, using a spectrum of biomaterials having different characteristics, and the ability to control dimension, shape and distribution of the microstructures, as well as their configurations. This flexibility enables adaptation of the arrays to various cell types and use of both label-free and fluorescence detection methods to determine live cell status in real-time. The following practical applications of these unique cell-based platforms will be presented: . Drug screening in 3D multicellular spheroids co-cultured with accessory cells; . Cryopreservation of individual cells; . Live cell measurement followed by cell content analysis of the same cells; and . Single cell analysis of cell transfection and protein translocation. Relying on average measurements will often be misleading when the cells being studied are heterogeneous. By applying single-cell genomic and proteomic techniques, biology such as stem cell differentiation and cancer development can now be directly assessed at the fundamental unit of life. This seminar will take a deeper look into new approaches required to study genomics and proteomics at the single cell level, and microfluidic technologies for cell capture and genomic analysis that are being developed to do so. Session Title: Novel Tools and Technologies for Single Cell Analysis (SCA)-Microfluidics Meets SCA. Session Chairs: Naomi Zurgil, Ph.D. and Lidong Qin, Ph.D.
Tissue regeneration is an orchestrated progression of cells from an immature state to a mature one, conventionally represented as distinctive cell subsets landmarked along development. Yet, a continuum of transitional cell states is exists between these discretized stages. We combine the deep phenotyping of single-cell mass cytometry to leverage this continuum by aligning cells of a given lineage onto a unified trajectory that accurately predicts the developmental path de novo. Applied to primary human B-cell lymphopoiesis, the algorithm (termed Wanderlust) constructed trajectories spanning from hematopoietic stem cells through to naïve B cells. Analysis of this trajectory revealed nascent fractions of B-cell progenitors and aligned them with developmentally cued regulatory signaling (IL-7/STAT5) and cellular events (immunoglobulin rearrangement), highlighting developmental checkpoints across which regulatory signals are rewired paralleling changes in cellular state. This study provides the most comprehensive phenotypic analysis of human B lymphopoiesis to date, laying a foundation to apply such methods to other tissue types and “corrupted” developmental processes such as cancer. We will present a new platform technology that detects rare CTCs in blood with extremely high sensitivity, specificity, and throughput. The technology relies on micro-encapsulated sensing systems that detect intracellular genetic markers, cell surface proteins or secreted markers. Single-cell biology, particularly single cell genomics and proteomics, is changing our understanding of fundamental molecular mechanisms in many areas of life science research. Yet this exciting field is nascent and much remains to be done. Join Fluidigm co-founder, president and chief executive officer Gajus Worthington as he surveys some of the latest trends and developments in single-cell biology research, including how select researchers are tackling ambitious 100,000 cell projects using Fluidigm’s existing single-cell genomics tools, and how high-dimensional single-cell proteomic data is being used to reveal cellular diversity in fields such as immunology and cancer research. The ramifications of single cell science are broad, and may usher in a new phase of discovery and understanding. This pursuit will require the development of entirely new experimental workflows, and Gajus will lay out Fluidigm’s vision for future tools that can enable successive waves of discovery. Fluid biopsies are powerful because they allow for molecular characterization of tumors in a minimally invasive fashion. All tumors secrete extracellular vesicles (EVs) that are relatively stable in biofluids and can provide important information about the disease state. Tumor derived EVs are a minor component in a pool of normal cell derived EVs, so detecting tumor markers is a major challenge. Assay sensitivity and specificity are particularly imperative when they are used as companion diagnostic or for trial stratification. Brain tumors hold an extra level of challenge because of their enclosed location in the brain. We sought to determine the presence and levels of the mutant isocitrate dehydrogenase 1 (IDH1) in the plasma and cerebrospinal fluid (CSF) of patients with glioma. We determined a robust sensitivity of 1 mutant copy in 10,000 wild type copies when using spiked in RNA from mutant and wild type cells. We also detected the mutant IDH1 in 63% of CSF samples. We also characterized plasma and serum derived EVs for the presence of mRNA and miRNA species using the miScript miRNA PCR Arrays (Qiagen) for serum and plasma, and the RT2 ProfilerTM PCR array Human Cancer Pathway FinderTM (Qiagen) for mRNA and we report differential EV signatures in glioblastoma patients compared to controls. We are currently analyzing plasma samples from IDH1 mutant glioma patients. This finding expands the diagnostic potential of circulating tumor EVs and demonstrates the great promise for this technology in next-generation companion diagnostics and mutational profiling of individual tumors. Exosomes, the “trash bag” of a cell, may also be a diagnostic or therapeutic gold mine. In this presentation we will explore research activity in exosomes or microvesicles using technology analytic methods to better understand technology developments in selected market segments. The process spotlights technology drivers and drags in exosome research. The technology analysis process begins by carefully forming a database of papers/abstracts from PubMed covering exosomes. Trends (from segments) in the database were discovered using well-chosen keywords, text clustering, adjacent word (adjective) discovery routines as well as web research and marketing research reports. The process is an objective method to survey the entire exosome field. 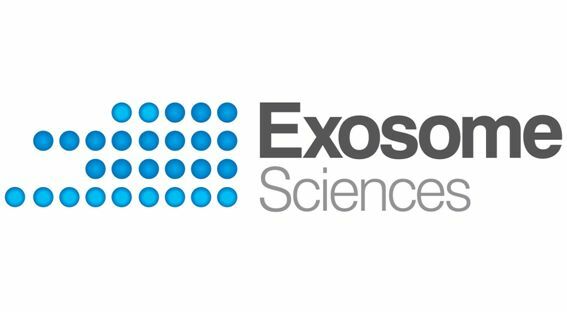 Our analysis shows that the exosome space has shown dramatic growth for the last few years, and shows no signs of stopping. Exosome nomenclature is a nightmare that is just beginning to resolve itself. Our analysis of over 470 segments shows that the apoptosis and cancer are large - even dominant – segments, but that many other areas are well represented as well. High growth segments (drivers) and slow growth segments (drags) will be discussed. Some segments are connected to others as parts of a disease, a technology or as a tool used in an area. We highlight the connections among segments with a Hot Spot Map. Mapping results show some expected connections and some surprises. The analysis and mapping suggest that the exosome space is ripe for further growth. It is clear that commercial entities are interested, but that most research is still academic. Our analysis also hints that the area could benefit by collaborating with more “established” new areas such as cancer biomarkers. Session Title: The Study of Exosomes and Other Classes of Extracellular Vesicles (EVs). Session Chairs: Dominique de Kleijn, Ph.D. and Johan Skog, Ph.D.
Extracellular vesicles (EVs) are membrane bound objects released by cells in the outer space, either upon fusion of multivesicular bodies with the plasma membrane (exosomes), or by direct outward budding of the plasma membrane (ectosomes). EVs retain proteins and nucleic acids of the donor cells and fuse within acceptor cells. The released content can influence the target cell behavior. Numerous classes of EVs exist, showing differences in size composition and origins. Therefore, a thoughtful study of the EV traffic is essential to define which specific classes are competent for influencing the target cells. State of the art spinning-disk confocal microscopy, coupled with computational tools, allows nowadays to detect few fluorescent molecules and to follow their trafficking in monitored cells in real-time. The application of these approach on EVs traffic will elucidate which endocytic routes are followed by the EVs, which EV subclasses are competent for fusing with endomembrane and in which subcellular compartment. The acquired knowledge will shed light on EV competence for transferring information among cells and the key EV properties which can be exploited to develop next generation drug delivery nanoparticles. Circulating microRNAs are promising candidates as minimally-invasive biomarkers for tumor detection, disease monitoring, and patient stratification. Changes in serum microRNAs have been reported for many tumor types. However, how well global changes in tumor microRNA expression are reflected in circulating microRNAs is less understood. Using a mouse genetic model of HCC, we found that that serum microRNA pro¬files reflect both changes in the tumor tissues and systemic response to tumor burden. The serum-specific alteration included microRNAs linked to immune response, liver injury and other systemic responses to the tumor burden. Interestingly, most of the changes in both liver and serum are reversed upon inhibition of the driving oncogene. This pre-clinical proof-of-concept demonstrates that circulating microRNAs are suitable candidates for tumor detection as well as monitoring disease progression and treatment response. Biofluid molecular diagnostics have generated a lot of interest the recent years, especially with new emerging platforms that enable low abundant tumor transcripts and mutations to be detected even from biobanked plasma and urine. Using biofluids as a surrogate for tissue to monitor the progression of disease processes is highly desirable for diseases like cancer where the genetic status of biopsies taken prior to treatment may not be relevant later in disease. The exosome platform allows for recovery of high quality nucleic acid for analysis of tumor derived mutations, splice-variants, and enables RNA profiling to stratify patients and monitor treatment efficacy on longitudinal samples. 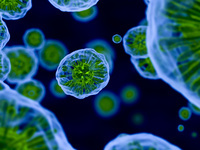 The latest data from Exosome Diagnostics improvements in detection methods of rare variants as well as improving the yield of tumor derived mutations from plasma will be presented. Multiple myeloma (MM) is a hematological malignancy of plasma cells in the bone marrow (BM). The microenvironment of the BM plays a key role in MM cell persistence and survival through release of soluble factors and expression of adhesion molecules. The role of extracellular vesicles, exosomes and microvesicles, in this model of MM, has not been readily explored. We were the first one to characterize the protein content and relative abundance of vesicles derived from distinct MM cell lines. We established differences in protein abundances between MM patient’s serum and bone marrow derived vesicles when compared to healthy donor extracellular vesicles. During my talk I will show that serum CD44 is primarily localized to the peripheral vesicles of MM patients and that extracellular vesicles associated CD44(EV-CD44) positively correlates with serum ß2 microglobulin levels, serum creatinine and ISS stage suggesting EV-CD44 can function as a biomarker of MM. These results generate a foundation for hypothesis driven studies of MM biology and the potential use of serum CD44 as a novel serum biomarker of MM. One of our goals has been to examine the extracellular RNA contents in cell-free biofluids to identify markers of brain injury and disease. We have examined multiple biofluid types from patients with head trauma and neurodegenerative disease. We discuss the utility of each biofluid in reliably reflecting injury and we will discuss common and specific RNAs that are altered by injury and disease. Session Title: Exosomes, Microvesicles, CTCs -- Convergent Technologies and Biomarker Potential. Session Chairs: Leonora Balaj, Ph.D. and Sasha Vlassov, Ph.D.
Kenneth Henry, Senior Research Scientist, JSR Micro, Inc. In order to isolate exosomes from various body fluids and cell culture supernatants, we have successfully developed ExoCapTM Isolation Kits, which utilizes a magnetic beads based isolation method. 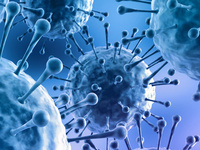 ExoCap consists of magnetic particles coupled with antibodies that recognize antigens on the exosome surface, a diluent/ washing solution, and a reagent that releases the captured intact exosomes for analysis. The antibodies against CD9, CD63, CD81, and EpCAM were specifically selected for this kit. ExoCap can easily and rapidly separate exosomes within 30 minutes, without an ultracentrifuge or any special equipment. In exosome rich samples, as little as 100 µL is a sufficient sample volume for the isolation of exosomes that are compatible with various downstream analysis such as western blots RT-qPCR or electron microscopy. ExoCap allows the enrichment of a pure population of specific exosomes based upon target antigen. James Joyce, Chairman & CEO, Aethlon Medical, Inc.
Cardiovascular Disease (CVD) is with the cardiovascular events of Ischemic Heart Disease and Stroke, the number 1 and 2 cause of death in the world and expect to increase especially in Asia. Atherosclerosis is the underlying syndrome for CVD and atherosclerotic plaques are detectable already in teenagers. Therefore for cardiovascular disease, we have to determine who is at high risk for a cardiovascular event in a high-risk background of the atherosclerotic syndrome without the possibility of taking a plaque biopsy. The risk for Cardiovascular events is region-dependent so tailored plasma-based biomarkers are essential to guide prevention and treatment of billions. Collecting plasma extracellular vesicles is like taking a liquid biopsy from the pathological tissue that can be used for diagnosis and prognosis of the disease. Using biobanks of different ethnicities with large numbers of patients, we show that plasma extracellular vesicle content can be used as an accurate source for diagnosis and prognosis of cardiovascular disease. Byung-in Lee, Vice President, Product Operations, Maverix Biomics, Inc.
With the advancement of single-cell sequencing methodologies, the demand for analytic tools to handle complex data has grown rapidly. We will present the Maverix Analytic Platform, a cloud-based environment built for biologists that leverages best-in-class tools and provides an integrated UCSC-genome browser to enable visualization of results in broad context. In the field of nanoparticle characterization, zeta potential has long been known as measure for stability and particle-particle interactions and is a physical-chemical parameter. However, the characterization of low concentrated nanoparticle suspensions, such as exosomes, is challenging. Particle Tracking Analysis (PTA) is a technique where single particles of the sample are visualized and traced. By analysis of the particle traces, the PTA device (ZetaView®, Particle Metrix, Germany) performs the measurement of particle size, concentration and zeta potential of exosomes in one experiment. As the zeta potential is affected by pH and ionic strength, even more information about the sample can be gained by variation of buffer composition, resulting in discrete charge fingerprints. We utilize the advantages of PTA with emphasis on practical aspects relevant for exosome characterization. Potential applications, such as monitoring of pH sensitive exosome-exosome interactions in combination with multiparameter characterization will be discussed on selected examples. Placental dysfunction, most commonly manifested as preeclampsia or intrauterine growth restriction, is an important cause of maternal and fetal morbidity and mortality in both the developing and developed world. It is thought that placental dysfunction arises from abnormal trophoblast differentiation and/or invasion, events that occur in the first trimester of pregnancy, but become clinically apparent only in the late second and third trimesters. Optimal surveillance and management of placental dysfunction, as well as the development of effective therapies, have been hampered by the lack of methods for early and accurate identification of pregnancies at risk for this disorder. We will discuss pregnancy-specific ExRNA profiles and the potential for ExRNAs as biomarkers for placental dysfunction and other adverse pregnancy outcomes. Extracellular vesicles (EVs) are virus-sized membrane-enclosed vesicles that are released by cells via various mechanisms. Their contents reflect the molecular make-up of their cells of origin, and thus EVs show potential as biomarkers. EVs also serve as packets of signal initiators and transducers with effects proximal and distal to their release. Here we show that EVs from brain tumor cells have profound impacts on recipient cells (both tumor cells and normal cells) in terms of proteomic changes and induced signaling cascades. Most of these changes can be regarded as benefiting the tumor. The abilities of EVs to influence phenotypes and activities of recipient cells are likely among the most important functions of EVs. In a tumor setting, this knowledge may help us design better therapeutic strategies based on a continuous dynamic rather than static assumptions about the status of a cancer. Salivary extracellular RNA (exRNA) and protein have been demonstrated to possess clinical utilities as biomarkers for early detection of oral and systemic diseases. More recently salivary exRNA were shown to be contained in exosomes, shuttling disease-specific exRNA from the disease organs via blood stream to salivary glands and into saliva as disease-specific salivary biomarkers. How do we define, collect, enumerate and characterize CTCs in early clinical trials? What is Pharma looking for in the ‘perfect’ CTC assay platform? What are the challenges in developing and deploying these assays in clinical trials? 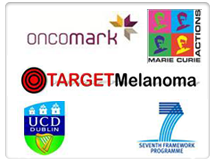 What are we hoping to achieve with these assays? The Supreme Court’s decisions in Prometheus and Myriad shifted the biomarker IP landscape by raising the bar to obtain meaningful patent protection for diagnostic methods involving biomarker detection. After two years of uncertainty, the Patent Office and Courts are beginning to offer guidance on how to apply the Prometheus and Myriad standards. 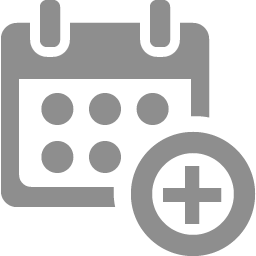 I will review these recent legal developments and describe current approaches we are using to obtain patent claims to diagnostic methods. Exosomes are produced from multivesicular bodies (MVB’s) as a part of the endolysosomal pathway for the maintenance of protein homeostasis in a eukaryotic cell. The molecular and cellular basis of how a cell makes the choice between the degradation of the protein and its secretion via an exosome remains unknown? Based on the thesis that exosomes are produced in response to molecular signals received from outside of the cell, we have proposed that the exosomal cargo (including proteins, nucleic acids and lipids) may exert an important role in the biogenesis of the exosomes. Our studies with human retinal pigment epithelium (RPE), a highly polarized epithelium at the physical and biochemical interface of the blood: retinal barrier, have indicated that aB-crystallin, a cell-type specific small heat shock protein, secreted via exosomes from the RPE is important for exosomal biogenesis; the inhibition of the expression of aB-crystallin (aB), inhibits exosome secretion. We find that the inhibition of exosome secretion is concomitant with the appearance of enhanced endolysomal compartment in these cells. We will discuss how a cell type –specific protein like aB-crystallin may facilitate /regulate physiological decision making between the endolysosomal compartment and exosome secretion. Understanding the critical steps in exosome biogenesis may allow us to manipulate the molecular content of the exosomal cargo (proteins, nucleic acids). Microfluidic-based fluorescence activated cell sorters (µFACS) have several advantages over conventional electrostatic-droplet-based cell sorters. A closed detection and sorting environment prevents aerosols that can potentially contaminate equipment, personnel, and subsequent sorting experiments. 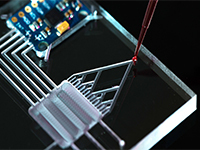 Although various on-chip µFACS mechanisms have been demonstrated, sorting live mammalian cells at high speeds with high sort purity and cell viability remains a challenge. Slow cell switching mechanisms and large fluid perturbation volumes are the two major factors limiting the throughput and purity of current microfluidic FACS devices. This talk presents a microfluidic based, high-speed and high-purity pulsed laser activated cell sorter termed PLACS which utilizes small volume liquid jets induced by pulse laser triggered cavitation bubbles for sample switching. A sorting throughput up to 23000 cells/sec with 90% sorting purity and 90% cell viability has been accomplished in a single microfluidic channel in a single stage.